Google just announced another update to the quality guidelines for their local listings, which now allows individual departments within universities, hospitals, local governments and businesses to have unique presences. If the new Google+ Local listing policy sounds familiar, that’s because it’s the reimplementation of their original policy, which was upended about a year ago. 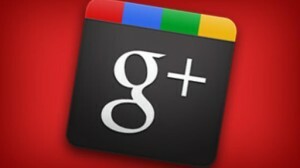 Unlike the former policy, the new Google+ Local guidelines will provide multi department businesses with new opportunities. However, many are concerned with the new Google quality guidelines as they may open the door to more spam and extend the reach of Google’s enforcement. If the new Google+ Local guidelines aren’t met perfectly, your listing will be rejected for non compliance if Google should happen to find you listed in two places at once. So, how do you comply with these new guidelines? Well, if you’re a physician who practices in several offices, you’re able to create a listing for each location but only for the hours you’re present at each location. If you’re showing in two locations at one time due to the hours you’ve listed at each location, you’ll be flagged by Google for non compliance. According to the new Google quality guidelines, you can not create more than one listing for each business location–whether you’re using one or more accounts. However, individual practitioners can be listed individually, but only when they are public about their parent organization. The practitioner must be present at the stated hours for the verified location. Also, a practitioner can’t create multiple listings for each of their specializations. When listing specific departments within universities, businesses, government buildings and hospitals, each department must be distinct while within their parent organization with separate phone numbers and entrances, let the search engine marketing Salt Lake City specialists help. As part of the new quality guidelines, your business must be represented as it appears offline, which means you can’t include taglines, phone numbers or URLs in the business name field unless they are part of your business’s name. You will be in non compliance with the new Google+ Local guidelines if you try to manipulate the description of your business with keywords. The guidelines also state your business address must be a physical location, not a P.O. Box or business under construction. You’ll be able to provide one website and phone number that directly connects your individual business location. The categories you select for your business must depict what it is and not your products. Adhering to these new Google+ quality guidelines is clearly stated by Google as, “Fraudulent or illegal activities aren’t tolerated on Google and may result in account suspension and removal of listing information from search results.” If you’re concerned whether or not your Google+ Local listing coincides with the new Google+ Local guidelines, contact our SEO Company in Salt Lake City today.